Having consulted carefully with members of the lay faithful, both women and men, the Irish Catholic Bishops' Conference has decided to respond to the invitation of the Citizens' Assembly and make the following submission on the topic of Article 40.3.3 of the Constitution of Ireland(Bunreacht na hÉireann). The Catholic Church has just concluded a Jubilee Year of Mercy. This initiative of Pope Francis was celebrated by the universal Church and it called on us to be open both to God's mercy in our lives and to ways of being more merciful to others especially those who are vulnerable. While the Constitution celebrates the equality of the mother and the unborn child in its Eighth Amendment, we have an obligation to be at our most compassionate, our most merciful, if and when the expectant mother and father and their unborn child require support during a crisis pregnancy. This support must be more than words. Public resources should be applied in a practical and in a creative way. Supporting and sustaining a culture of life is in the interests of every generation and it defines us as a society. We make our submission in the hope that we can be of assistance to the Citizens' Assembly in its task of reflecting on the right to life. We believe that human life is sacred from conception until natural death and that Article 40.3.3 reflects the appropriate balance of rights. We recognise the significant responsibility that has been placed on the shoulders of each Assembly Member and we ask God's blessing and guidance on you and on the work that you do. Article 40 of the Constitution has the heading "Personal Rights" and is situated in a section entitled "Fundamental Rights". In this way, long before the Universal Declaration of Human Rights was promulgated by the United Nations, the Irish people recognised the fundamental nature of rights such as the right to life, the right to liberty, the right to the privacy of one's home and the right to freedom of speech. Fundamental human rights are different from civil rights. While civil rights are the rights given by law to citizens in a particular society, fundamental human rights belong to every person simply because he or she is a person. Fundamental human rights are not "given" by society and they cannot be taken away by society. Fundamental rights are "acknowledged" in constitutions and charters and "vindicated" in the application of the law. They are what the United Nations refers to as the "equal and inalienable rights of all members of the human family". "the State acknowledges the right to life of the unborn and, with due regard to the equal right to life of the mother, guarantees in its laws to respect, and, as far as practicable, by its laws to defend and vindicate that right". Article 40.3.3 describes the right to life of the unborn as "equal" to the right to life of the mother. It quite rightly does not place the right to life of the unborn above that of the mother. "The gift of a new child, entrusted by the Lord to a father and a mother, begins with acceptance, continues with lifelong protection and has as its final goal the joy of eternal life. ….. 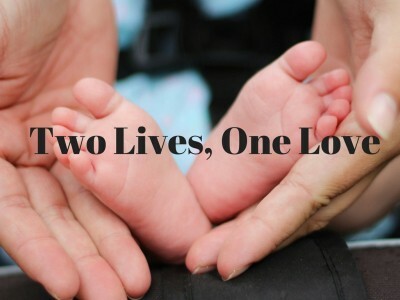 So great is the value of a human life, and so inalienable the right to life of an innocent child growing in the mother's womb, that no alleged right to one's own body can justify a decision to terminate that life, which is an end in itself and which can never be considered the "property" of another human being." We wish to refer briefly to the use of language with reference to unborn children. Words like "foetus" and "embryo" and "zygote" have specific technical meanings. We question why, in public discourse, healthy unborn children are always referred to as "the baby" while those who, in the opinion of some, do not measure up to expectations are routinely defined as the "foetus" or the "embryo". We are concerned that language is being used with the intention of depersonalising certain categories of unborn children in a way which seeks to normalise abortion. When, sadly, a baby dies naturally in the womb before birth, there is no question of the mother being obliged to proceed with the pregnancy. There is now only one "patient", the mother. The mother becomes the sole focus of any medical care that is required. Along with the father, the mother is entitled to the best pastoral care that we can offer, as they grieve the loss of their child. "I wish to restate as firmly as I can that abortion is a grave sin, since it puts an end to an innocent life. In the same way, however, I can and must state that there is no sin that God's mercy cannot reach and wipe away when it finds a repentant heart seeking to be reconciled with the Father." As a Church, for over forty years, through Cura's professional counselling service, we have been supporting expectant mothers and fathers who find themselves facing a crisis pregnancy. Our hope is for a Church and a society which, while rejecting abortion, reaches out to women who have had an abortion, with a listening ear and an understanding heart. Most of all, we believe that the common good is best served by a Church and a civil society which, while rejecting abortion, continues to offer women real alternatives and real support. Living as we do, in a culture which places such a high value on individual rights, it may seem strange that the most fundamental personal right of all, the right to life, is increasingly being questioned and denied. The problem seems to be that, when respect for the rights of the individual is pushed to the extreme in a society, the result is just another form of individualism in which all rights, even the most fundamental of rights, become relative. As Pope Saint John Paul said: in such circumstances "the 'right' ceases to be such, because it is no longer founded on the inviolable dignity of the person". The logical conclusion is that the whole notion of human rights is undermined and any rights that remain depend on the will of the majority. Article 40.3.3 of the Constitution of Ireland (Bunreacht na hÉireann) has a particular vision which is based on respect for the right to life of every person. We believe that the deletion or amendment of this article can have no other effect than to expose unborn children to greater risk and that it would not bring about any benefit for the life or health of women in Ireland. We respectfully ask you, therefore, as the Members of the Citizens' Assembly, to recommend to the Government that Article 40.3.3 should remain unchanged in the Constitution.